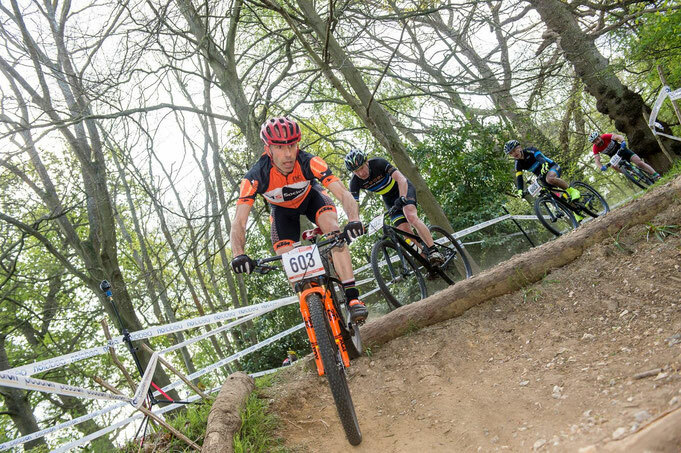 Six weeks ago we raced at Wasing Park Estate, south of the M4 near Reading, just as a months worth of rain had abated after a two day deluge. Needless to say the course was a horrendous mud bath that day, great fun if you like that sort of thing but not the best for great racing. Returning there this weekend for round 2 of the National series it was clear that barely a drop of rain had fallen since. The course, which followed the exact same route through the park and woodands as before, was an entirely different beast this time round. The course was dry and fast but the mud from before had now baked hard, preserving the deep worn ruts and footprints from the previous race. The bumpy surface combined with exposed roots through the woods made for some eye watering-ly rough going in places. Anyone that wasn't riding a full suspension bike was going to be in for a tough weekend! With no particularly difficult technical sections to deal this time, just a few log jumps and one steep descent, I was looking forward to staying upright and racing hard. As the late morning race time approached, the sun burnt through the last of the low cloud to take the edge off the chilly spring air and we were soon off on the first of our 5 laps. After a bit of a slow start I made my way to the front by the first area of singletrack and led us round the first lap with a good half dozen breaking away from the pack. Back into the woods things started to hot up and the winner and runner up from the last round took control and pushed on, getting a small gap. I was joined by another rider I didn't recognise called Tim ( he had a lot of very vocal support ! ) and we pushed on trying to catch up as we battled for 3rd spot. By lap 3 we caught and dropped the winner from rd 1 but the other rider was now extending his lead slowly but surely. A mistake on a loose hairpin turn saw Tim move in front of me for second place and took his chance through the rough singletrack to make a gap. As we entered the start/finish arena for the last time I could see the two leaders were still in touching distance and gathered myself for a last lap effort. The rough conditions had sapped a lot of energy and my concentration was beginning to slip. A few silly mistakes on the loose corners lost me some time and with just a kilometer to go I knew it wasn't to be. Coming into the arena toward the finish I heard the commentator announcing the winner, and then revealing that the man in second was 'Tim,the mountain bike legend'....what ?! 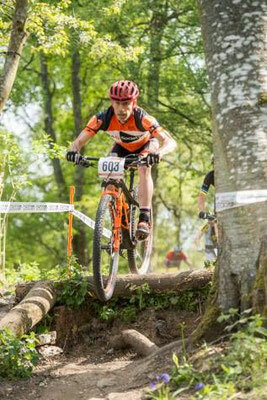 Turns out that he is Tim Davies, ex British MTB champ, World cup racer and Commonwealth games athlete. Ok, legend seems to fit then ! 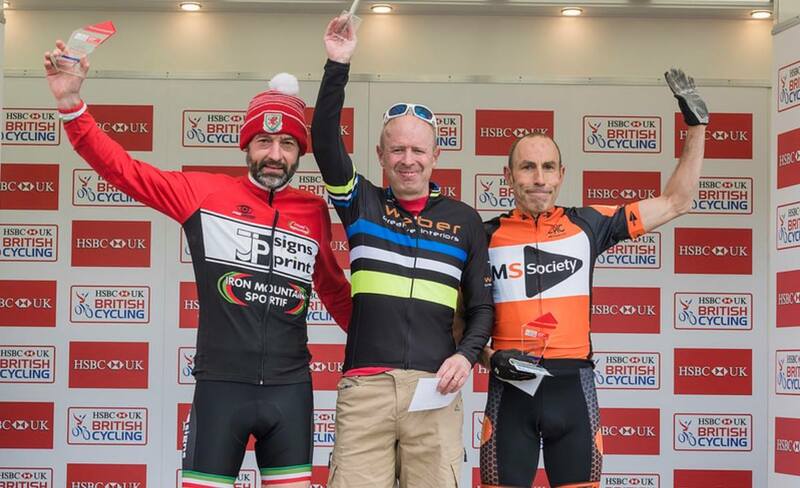 With last years overall winner, and another mountain bike legend, Tim Gould having a poor start to the season I thought I might have an easier time this season, haha! Seems there's always another ex-national champ waiting in the wings to keep things interesting! Another podium finish is always great, especially when you share it with two ex-champions, but that's 3 third places at Nationals in a row now....it's time to be moving up a step or two! Well done to all the other Eastern region riders that raced this weekend and a special thanks to Michele Wingar for doing bottle duty again.